Most of the WordPress theme comes with built-in support for sliders. This slider is shown at the home page as a slider for features post. It looks nice and puts a good impact on visitors. As I already wrote, most of the themes come with a slider, but what if your theme does not have any slider? It is actually simple to add a slider into a WordPress theme. There are many nice WordPress slider plugins available which add a nice slider into a WordPress blog. All these plugins are easy to configure and customize. How to Choose the Right WordPress Slider Plugin? There could be different use case and different requirements. So, you need not to focus on overall features rather than focusing on just looks. Most important things you need to consider are responsiveness, ease of use and speed. Not mobile is the primary traffic source, so you should always use responsive elements. Same goes with the slider. If it is not easy to use, how will you integrate it into your website? Speed is also important because speed is also a ranking factor in Google search. So, the slider should not be slow to increase the load time. Now here are the best slider plugins for WordPress. You can consider any of these WordPress slider plugins for your blog. In this post, I am adding a collection of nice WordPress plugin which will add a slider into your WordPress blog. Soliloquy is the best responsive WordPress slider plugin available in the market. This WordPress slider plugin has even created by experts to offer a nice experience. The slider plugin for WordPress comes with a simple and user-friendly interface. So, you can easily create sliders with ease. You can easily integrate this slider plugin in your WordPress theme and add images from your media library. Slider Revolution claims to be number 1 slider plugin and definitely, it is one of the best WordPress slider plugins you can use. The plugin comes with a powerful visual editor that lets you easily create, and customize sliders in WordPress. Sliders created by this plugin will be great in looks and will be responsive across all the devices. Although the plugin is not as user-friendly, so you may find it a bit hard to use in the start but you will learn with the time. RoyalSlider is another popular WordPress slider plugin available in the CodeCanyon marketplace. The plugin offers an easy way to create and add a slider on your WordPress blog. You can also use customization options, transitions, and animation effects to make the slider even better. The sliders created by the plugin are touch-friendly and responsive. The plugin also offers a lazy-loading option for better speed performance. RoyalSlider also lets you integrate your Instagram and Flickr photos. It also supports YouTube and Vimeo videos in the slider. WonderPlugin WordPress Slider Plugin is available in both free and premium versions. The free version of the plugin shows watermark on the slider. If you do not want that, you can buy the premium version. This slider plugin for WordPress is feature rich and offers several kinds of sliders. It also includes image slider and video sliders. In video sliders, the plugin also supports YouTube, Vimeo, mp4, and WebM videos. You can also include WordPress posts in sliders. The plugin offers several transition effects to make it even better. The plugin is easy to use and install. Slider by WD is also a nice WordPress plugin for creating responsive sliders. You can use this plugin for creating fast loading and SEO friendly sliders on your blog. You can include the slider on pages, posts, sidebars, headers or any other location depending on your choice. The plugin lets you create a slider of both images and videos. There are several kinds go transition effect to use from. You can also add text and set position. The sliders also support swipe control for touchscreen devices. Smooth Slider is also a know slider plugin for WordPress. The is a really simple and user-friendly plugin. It lets you create several kinds of sliders that include post sliders, image sliders, and video sliders. You can use images from your media gallery, add typography, transition speed, effect, background color and more things to make it look good. There are several ways to add a slider in your WordPress blog. You can use it by using shortcode, template tag or add as a widget. 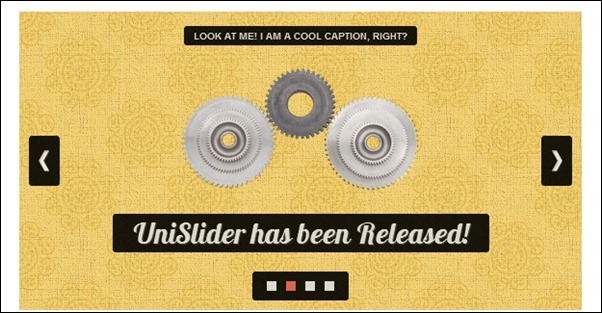 MetaSlider is also a premium WordPress slider plugin and worth to mention here. It also lets you create responsive sliders for your WordPress website. It comes with lots of features including video support, post feed slides, animated layers, thumbnail navigation and more. The plugin is available as both a free and premium version. You can use the free version of the plugin before paying for the premium one. Master Slider is also a paid but beautiful slider plugin. This plugin adds fully responsive and mobile-friendly sliders. All the sliders support touch navigation with a pure swipe gesture on all devices. The plugin supports images, videos, WordPress posts, WooCommerce products, Facebook albums and Flickr galleries for adding as a slider. There are over 90 pre-built sliders to use on the website. It also has Visual Composer integrated that lets you simply use the drag and drop frontend editor. Meteor Slides is a free WordPress plugin you can download from WordPress plugin repository. The plugin lets you create simple image sliders for your WordPress blog. The plugin also supports touch navigation on mobile devices. There are also several options for sliders. As it is a free plugin, it not as feature rich. You can also not add videos in sliders. For adding a slider on your blog, you can use shortcode, template tag, or widget. FlexSlider is also a free WordPress slider plugin that adds responsive jQuery sliders on your WordPress website. This plugin supports both horizontal and vertical slides. You can also add fade animations. The sliders added by the plugin are supported by all major browsers. Sliders also support touch navigation on mobile devices. You can see the list of 10 best slider plugins for WordPress. You can use any of these plugins depending on your choice. I have mentioned all the features in short. You can also read more about those plugins on their description page. These plugins come with several features and you can even add videos in the sliders.